Abigail is our Operations Manager. 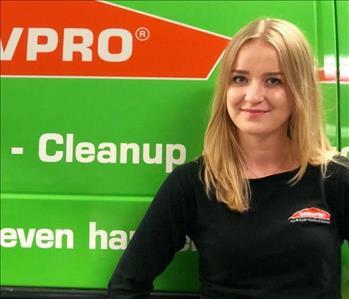 She has been with SERVPRO for 5 years. Her skills and experience help us deliver high quality service to our customers. Abigail has certifications for WRT (Water) and ASD (Applied Structural Drying) from the Institute of Inspection Cleaning and Restoration Certification (IICRC). Abigail's keen communicative skills provide excellent results and help to secure more business for our franchise. Her well-rounded skill set is a huge plus for all of us. In her free time, she enjoys traveling and spending time with friends, family, her husband and their dog. Anna is our Office Manager. Anna has completed the New Franchise Training Program, Xactimate Training, WRT (IICRC), EPA Lead and Subrogation Certifications. She is a key player in our team and handles all our office and HR related issues. 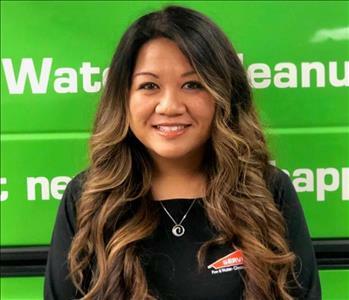 She played a huge role in opening the SERVPRO Morgan Hill / Gilroy franchise and has kept it running both in the field and at the office. During her off time, Anna enjoys spending time with her family and friends or playing tennis. Mark is our Lead Technician. He is new to the restoration industry, but has proven his integrity by his hard work, strong leadership skills and his ability to lead the crew. He takes his job seriously and makes sure that everything on field is done properly. Mark is dedicated, hard worker with the knowledge when it comes to handling floods, fire damages, and mold remediation. During his off time, he likes to go fishing and camping. Jesus is our Production Technician. He has great work ethic and gives his all every day to make a difference. He enjoys the challenge of helping our customers through a disaster and the variety of losses we handle. During his off time, he likes to go hiking, fishing and camping. 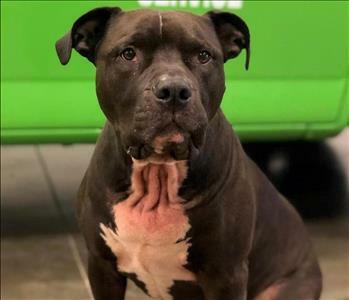 Bentley is our Chief Barketing Manager. His main responsibility is to make everyone at the office happy. He greets the staff and guests and can detect the delivery man a few minutes before arrival. Safety is of upmost concern to Bentley and will notify everyone when someone walks into the warehouse. When he is not working, he likes to take long walks, eat treats, sniff new territories, and cuddle with his two humans at home.